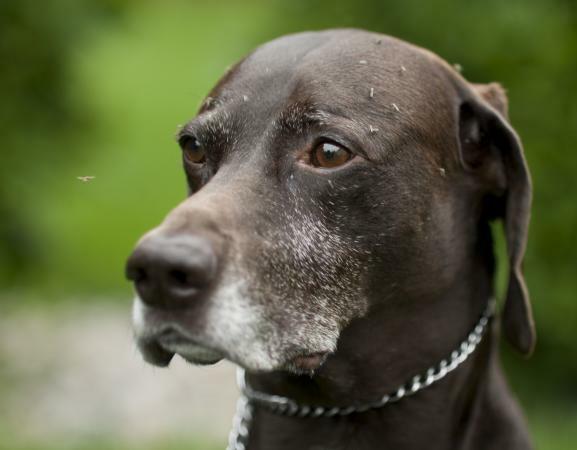 Heartworm infection poses a deadly risk to your dog. Yet many people dislike the idea of giving their dog long-term drugs to prevent heartworm. One tempting solution is the use of 'natural cures'. But how effective are these remedies and can you rely on them to protect your canine companion? The heartworm has a complex life cycle, which is important to understand. As the American Heartworm Society explains, a dog becomes infected when bitten by a mosquito containing heartworm larvae. It is these larvae that licensed preventive medicines kill and natural cures target. Left untreated, larvae mature into adult heartworms which are particularly resistant and only killed by a drug called melarsomine (Immiticide). There is an additional complication that the dying adult worms can cause blood poisoning (septicemia) and/or block major blood vessels causing shock and death. Thus, even if a natural product was available that killed adult worms, to do so might risk the life of your dog. However, there are many products on the market that claim to cure heartworm. HWF is an herbal remedy which contains several controversial ingredients. It is marketed as a 'Cardiovascular detox for dogs' and is an example of many natural products marketed for the purposes of killing heartworm. Modern veterinary medicine uses evidence and controlled studies to determine which medications work and how safe they are. Products such as HWF have not been through clinical trials, so there is no data about its effectiveness or safety. Owners should note, some of the ingredients are controversial. As the Pet Poison Helpline records, garlic can cause damage to red blood cells which can lead to a potentially life-threatening anemia, so even such an innocent looking ingredient is not without concern. 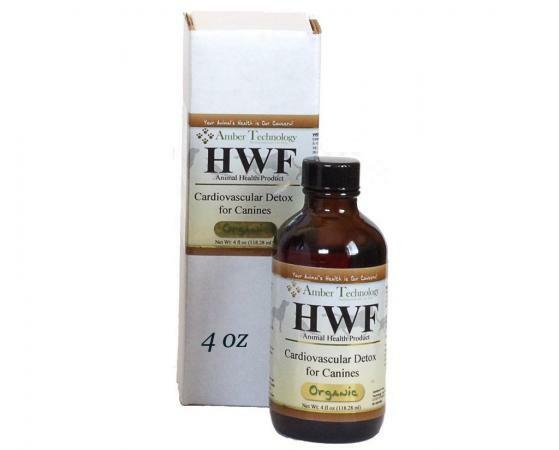 The makers of HWF, Ambertech, advise working with a holistic veterinarian to determine the appropriate dose. A list of holistic veterinarians can be found on the American Holistic Veterinary Medical Association website. 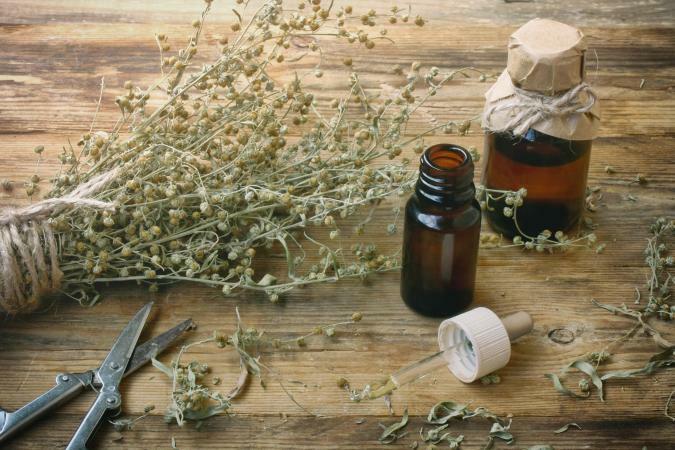 Dogs Naturally Magazine lists wormwood as a traditional worming remedy. It contains tannins, which are irritant to worms and can be an effective dewormer. However, the drawback is tannins are powerful and can also put a strain on your dog's organs, particularly the liver and kidneys. Indeed, the FDA lists wormwood on their poisonous plant database as not safe for internal consumption. Wormwood is frequently formulated with black walnut in order to increase efficacy. However, similar problems arise. In itself, black walnut is toxic to dogs as explained by Wag Walking. The drawback with wormwood and black walnut is the risk of throwing the baby out with the bathwater. While it might work, there is a risk the treatment is unsafe and could cause organ failure. With symptoms ranging from heavy panting, vomiting, and poor coordination, to seizures, coma, and death, the wise pet parent is aware that even natural substances are not without risk. However, this remedy has not undergone clinical trials to prove its efficacy. While it would be super if non-drug treatments were effective, there is no scientific proof that they are. This boils down to whether you are prepared to gamble with your dog's health by relying on a remedy with no hard statistics behind it. Last but not least, pin down what it is about licensed treatments that make you uncomfortable. Then discuss these concerns with your vet. For example, if you are concerned about potentially poisoning your pet with products that contain ivermectin, know that the doses are very low in each treatment. Typically, treatments contain only around six micrograms of ivermectin per kg of the dog's body weight. According to Plumbs Veterinary Drug Handbook, [location 39122 Kindle edition] the dose at which toxic signs first occur is around 1,000 micrograms per kg bodyweight. This means the average dog would require eating 166 times the prescribed amount against heartworm, before running the risk of symptoms of toxicity. That's quite some safety margin and a lot better odds than the high risk of picking up heartworm infection in a dog that's not adequately protected. Wouldn't it be great if there was a no-drug preventive to keep dogs safe against heartworm? Sadly, life isn't that straightforward which is why drug companies invest billions in research and development. If you are considering a natural remedy against heartworm, do the responsible thing and research the product first. Go to reputable sites that such as Merck Veterinary Manual and Cornell University to search for information on heartworm and treatments. Research the active ingredients in your chosen product, searching for both side effects and potential toxicity. Carefully weigh the risks. Assess how likely your chosen product is to protect the pet against the risks of catching heartworm. Heartworm is serious and your pet's life is worth the protection.